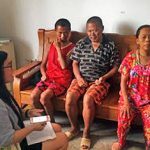 (Morning Star News) – China has tightened its “choke-hold” on churches across the country in recent weeks, according to advocacy group China Aid. Recent bans on unregistered church worship and on teaching Christianity to children, “as if intending to eliminate all house churches at once,” have startled Christians, a China Aid source reported. In Guangzhou, Guangdong Province in southern China, a source told China Aid that in the past week police visited members of unregistered church members at their homes to warn them not to attend worship services. Officers also summoned a large number of them for questioning. Authorities also ordered the Christian to write a letter guaranteeing not to attend church services. 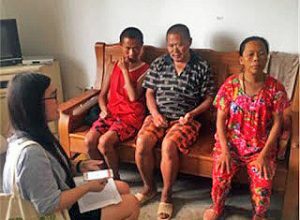 In Wenzhou, Zhejiang Province on the eastern coast, children were specifically prohibited from attending church services, with local officials ordering churches to cancel all activities involving teenagers. Elementary and middle school staff members told parents not to allow them to attend Sunday worship services or other church events, according to China Aid. Similar bans occurred earlier this year, as Chinese law that is inconsistently enforced forbids adults from teaching religion to Chinese children, according to China Aid. In Wenzhou, county-level departments dispatched officials to more than 100 churches who verbally issued prohibitions against teenagers attending church services, church-related summer camps or Sunday schools and assigned personnel to monitor the churches and their activities. “Outraged, the Chinese Christians argued that the government had violated its own laws on protecting minors, the Convention on the Rights of the Child, and China’s religious freedom regulations,” China Aid reported. Article 36 of China’s Constitution stipulates that all Chinese citizens have freedom of belief, and its Regulations on Religious Affairs do not forbid children from attending worship services, according to China Aid. The crack-down comes in the wake of a recent order from the Henan Provincial Three-Self Patriotic Committee and the Henan Provincial China Christian Council forbidding churches from organizing summer camps for minors and students, citing high temperatures as a possible health risk. A Christian from Henan said such camps have been allowed in previous summers, and originally officials would interfere only if they received a tip-off about such events. The Nanyang Municipal Religious Affairs Bureau in Henan ordered all 20,000 house-church members in the province to join the Three-Self Church, according to China Aid. Many Chinese Christians disagree with the Three-Self Church based on theological discrepancies and rampant government censorship, making the forced merging of these two branches a violation of religious freedom, the advocacy group asserted. Henan Province has also begun forcing Three-Self Churches seek approval for all large-scale religious activities, China Aid reported. In the eastern province of Jiangsu, officials have launched a new investigation that includes acquiring information on key church leaders and other members and their connections to Christians overseas, as well as their plans for future development. When a pastor asked why she was being made to fill out a form that included her personal information, an official replied that the Communist Party suspected “Christian imposters” were infiltrating churches and deceiving believers, according to China Aid. “The government often uses excuses in order to investigate churches, such as alleging that they need to perform fire-safety checks, and it is likely the government’s so-called suspicions are actually just ruses used in order to sanction the baseless persecution of Christians,” China Aid reported. A China Aid correspondent theorized that such actions are being carried out as “comprehensive stability maintenance” ahead of the 19th National Congress of the Communist Party of China meeting on Oct. 18. Christians are not a cult.A good Christian should be a better citizen than a non-christian. The Chinese government should really leave Christians alone! !